Common on siliceous rocks, granite memorials and chippings, slate roofs and walls. 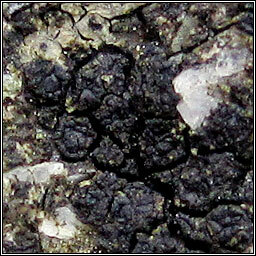 Also found on weakly calcareous rocks and pebbles. 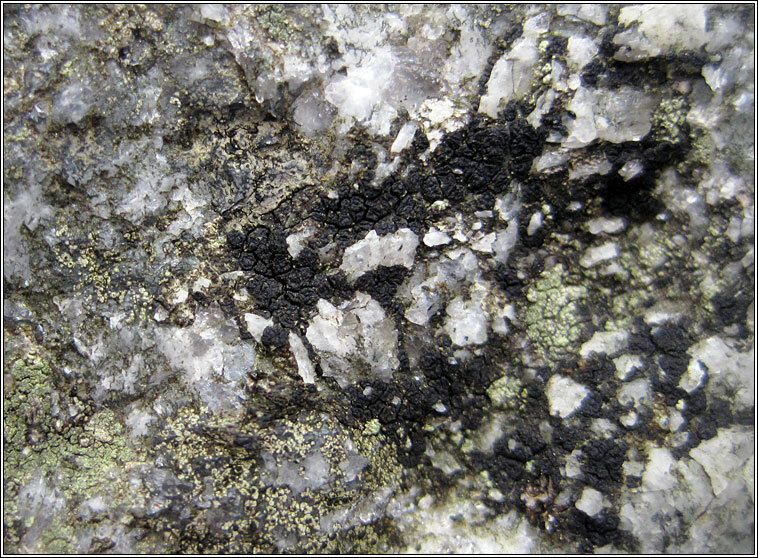 Thallus inapparent on granite or thin and scurfy, pale grey or green-grey on sandstone. 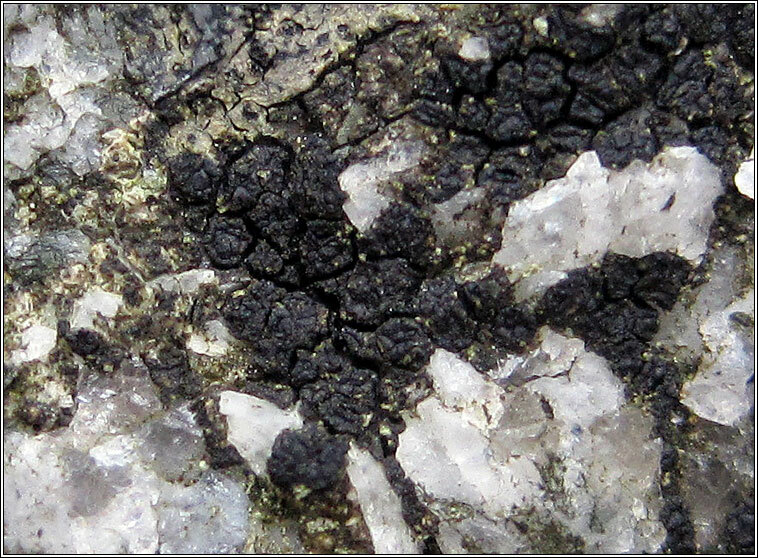 Apothecia are partly immersed or sessile, often following cracks in the substratum. Discs non-pruinose, black (becoming dark red when wet) with wide, crenullate margins giving a knotted appearance. 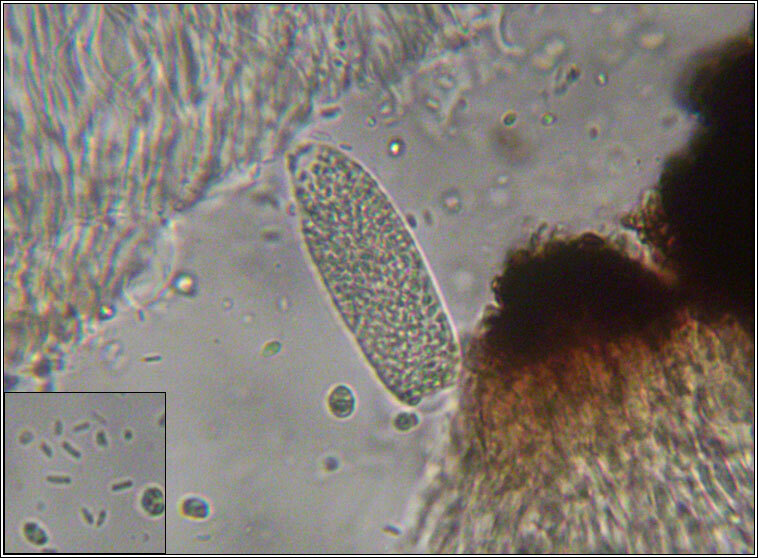 Asci with 100+ spores, 3-5 x 1-1.5 µm. Microscope photograph below.